Bunn: During "Monsters of Evil," Daimon Hellstrom tried to possess Flash Thompson, but because Venom is "marked" by Mephisto, the demon actually became trapped within Flash. All the infernal parasite really wants is to be set free, but that's not happening. It could just settle down and wait out its imprisonment in silence, but it has other ideas. What you'll see is this demon playing on Flash's guilt and insecurity, his anger and fear. The demon will wait for one of Flash's many moments of weakness, and then strike -- in a way that old school symbiote fans should like. 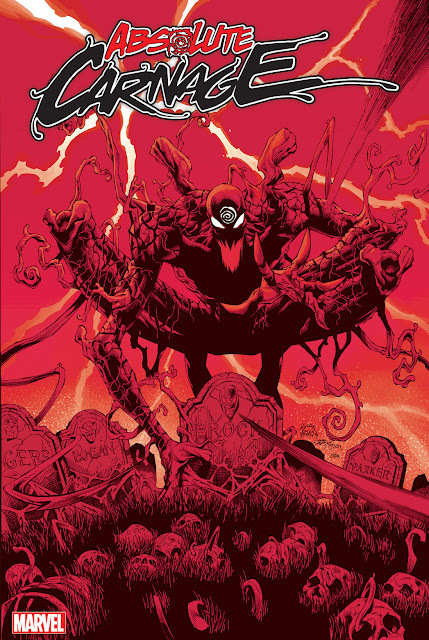 Immediately after "Minimum Carnage" you leap into "Venom" #27.1, which based on the solicits sounds like a wrap up of one chapter in his life and the beginning of another. What can you tell us about the issue? There's a lot happening in this issue, and I'm really excited about it. After everything that's happened with the Savage Six -- and the Monsters of Evil -- and "Minimum Carnage" Flash feels like his world is still crumbling around him. He's trying to pull himself up from rock bottom, but it feels like the world is conspiring against him. To make matters worse, he's really seeing how he has impacted those around him in a really negative way. Also, Flash will be challenged by both his figurative and literal inner demons. We all know Flash was and is a bully. It's part of his history and his nature that he simply can't shake. In this issue, Flash is trying to justify this violence that's still inside him, but he knows he can't do it. This is one of those moments of weakness I mentioned -- just the sort of thing a conniving demon might try to exploit. And at the end of the issue, Flash makes some big decisions -- the biggest of which is that he's leaving New York. Bunn: While we're on the topic of significant others, I know you're wary of spoilers, but Flash's relationship with Valkyrie recently escalated in "Secret Avengers." Will Valkyrie have a role in this book moving forward? Yes! Valkyrie plays a significant role in Issues #28-30. She'll also be appearing in future arcs. Let's move from Flash's love life and into your immediate plans for him in Philadelphia. In terms of plot and theme, what is your initial story about? The solicits suggest an "X-Files"-style alien horror adventure. Is that correct? The first Philly story is a kind of strange alien abduction/fringe technology kind of tale. It's a short arc, introducing Flash to the notion that the people of Philadelphia may need someone to protect them from the dark and terrible things that no one likes to think about. 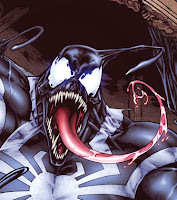 Who are some of the adversaries on Venom's dance card when he moves to Philly? What made you want to pit them against your protagonist? Right off the bat, Venom faces the U-Foes. 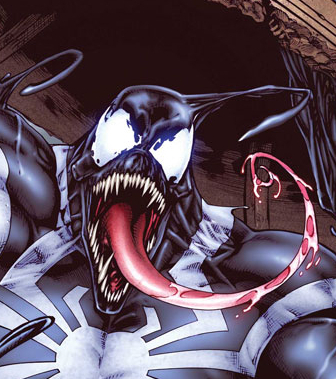 Here are four villains who are extremely powerful -- too strong for Venom to face alone, but that's just what he's going to do. I thought the weirdness of the U-Foes fit well with the tone of this arc. And the battle with them will leave Flash with a newfound respect for the symbiote. After that, I'm introducing a new villain, someone who will be spinning out of the U-Foes arc, but dealing with that villain won't be a piece of cake for Venom, because someone from his recent past is going to resurface with a vengeance. It definitely sounds like you're having a lot of fun with this book and you have some big plans for "Venom" in the months ahead, correct? Yes. I think that going into #27.1, readers will start to see a big story start to unfold. New villains, new supporting characters, new threats, and a bunch of hints of things to come down the line. My fondest wish is that I can take my time to develop a "long game" with the character. I have a lot of stories I want to tell, but I think there's value in taking my time getting there. Heck -- there's no telling what adventures might -- spawn -- when you look at the series in the long run. Was that last sentence a hint to 'the spawning' that has been alluded to since Remender was writing? What do you guys think of Venom's future?